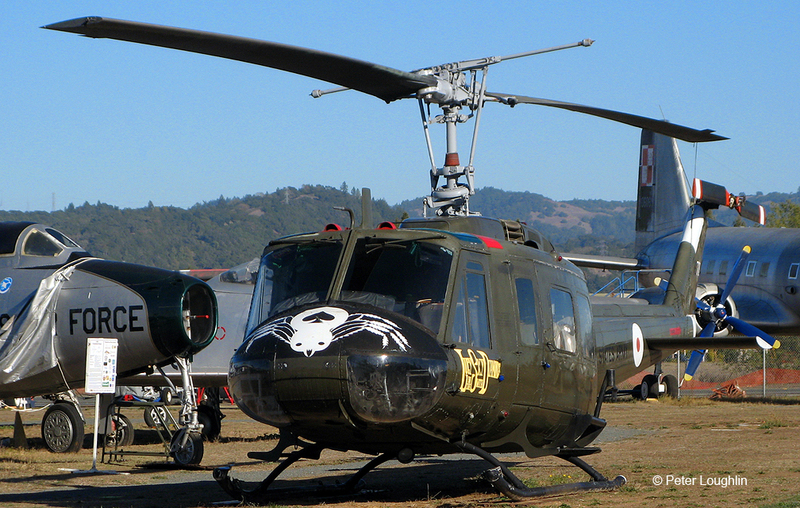 The Huey is painted to display the markings of the 188th Assault Helicopter Company “Black Widows”. 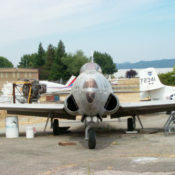 This aircraft, tail number 66-16779, spent six months in the unit and was flown during combat operations by Black Widow air crews. 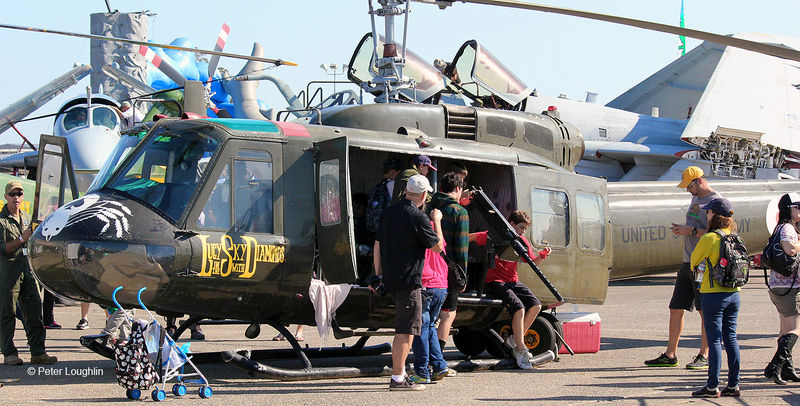 The Huey has for many years been a star attraction at the Pacific Coast Air Museum. And as this image attests, it is popular with school groups. New Mission: The Huey H model was a stretched version of the model 204 and had a more powerful engine. Used in many different roles from air ambulance to ground attack, ours has been configured as a “slick”. Despite being a troop carrier, it had a sting in the form of a 50 caliber machine gun mounted in the door on each side. 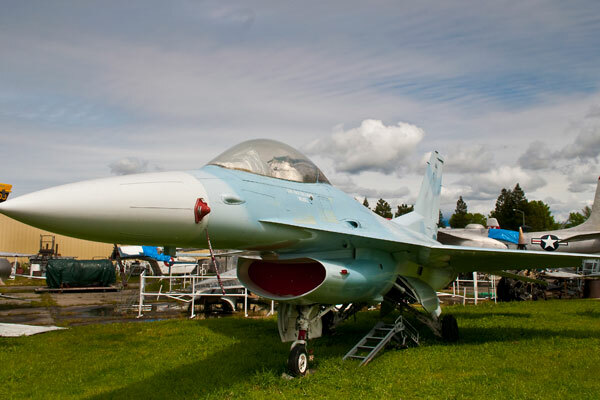 Here it is at the 2015 Wings Over Wine Country Air Show. 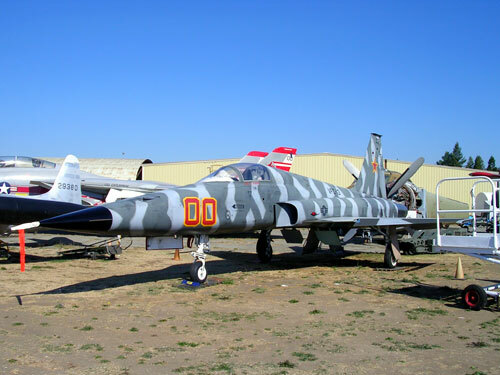 Aug 67 The U.S. Army acquired this aircraft from Bell Helicopter in Fort Worth TX. Sep-Dec 67 Assigned Company A, 229th Aviation Battalion, 1st Air Cavalry Division, Republic of Vietnam (RVN) (an Assault Helicopter Company). (Operation Bolling, Phu Yen Province). Feb 1968-Mar 1969 Assigned Company A, 229th Aviation Battalion, 1st Air Cavalry Division, RVN. (Operation Pershing II, Binh Dinh Province). (Operation Jeb Stuart, near the DMV). (Operation Pegaus/Lam Son 207 relief of Khe Sanh). (Operation Carentan II, Quang Tri and Thua Thien Provinces). (Operation Delware/Lam Son 216, A Shau Valley). (Operation Jeb Stuart III, Quang Tri and Thua Thien Provinces). 02 Aug 68 Suffered major damage to main rotor while landing at Quang Tri LZ in Shar Province. 31 Jan 69 Hit in hover over LZ while dropping troops in Tay Ninh Province. Apr-Aug 69 Assigned Company C, 101st Aviation Battalion, RVN (Air-mobile Company). (Operation Lamar Plain, Quang Tin Province). 30 May 69 Suffered damage to main rotor from tree strike while hovering in LZ, Phu Bai Province. Ol Jun 69 Suffered major damage to main rotor from tree strike while hovering during Med-Evac, Camp Eagle, Phu Bai Province. 29 Jun 69 Suffered damage to main rotor from tree strike while landing in LZ to discharge troops, Phu Bai Province. 22 Jul 69 Suffered damage to main rotor from tree strike while landing, Phu Bai Province. Sep 69-Mar 70 Assigned Company C, 101st Aviation Battalion, 101st Airborne Division, RVN (Air-mobile Company). (Operation Randolph Glen, Thua Thien Province). (Operation Texas Star, Thua Thien Province). (Operation Jefferson Glenn/Op Ord 13-70, Thua Thien Province). 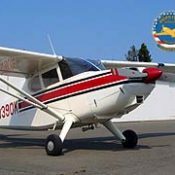 Feb 71 Assigned Aviation School, Ft. Rucker, AL. Mar-Apr 71 Assigned Supply Division, Ft. Rucker, AL. 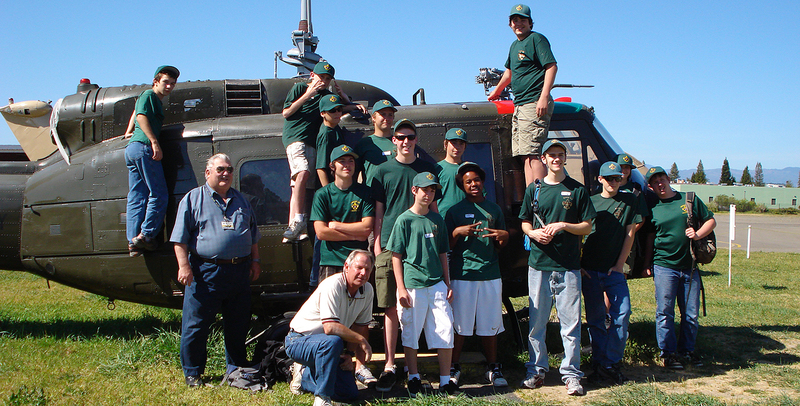 May-Jun 71 Assigned Aviation School, Ft. Rucker, AL. Jul 71-Jun 72 Assigned 281st Aviation Company, 5th Army, U.S. Army Reserves. Jul 72 Assigned 102nd Army Reverse Command, 5th Army, U.S. Army Reserves. Aug 72-Dec 75 Assigned 281st Aviation Company, 5th Army, U.S. Army Reserves. Dec 1975 to June 1976 102nd Army Reserve Command, 5th Army, US Army Reserves. July 1976 to April 1980 Company B, 24th Avn Bn, Ft Stewart, GA.
May 1980 to February 1982 to unknown unit or units in Honduras. March 1982 to February 1988 West Virginia National Guard. 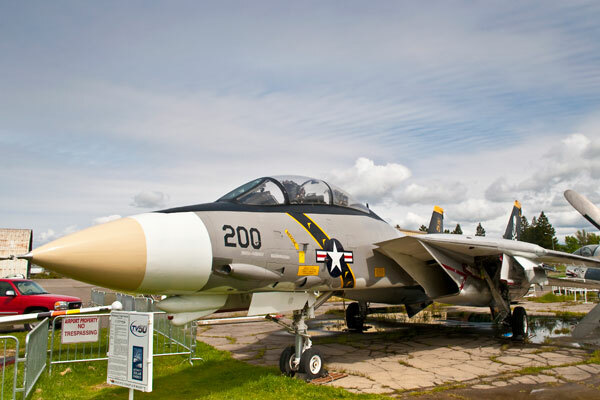 It was badly damaged by a lightning strike in February 1988, repaired and handed over to the California National Guard in February 1989 and continued in service through July 1995. Handed over to PCAM 23 April 1996. Jason Hunnicutt G.B. Jackson Jr. David Kardell Reginald Maisey Jr.
Robert Sharpless Briggs Sicilia John Snyder William Thompson Jr. Pilot and copilot, plus up to two door gunners depending upon mission. 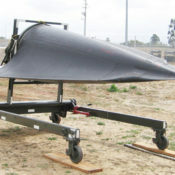 It could carry 3,880 lb (1,760 kg) including 14 troops, or 6 stretchers, or equivalent cargo. Armament varied, but included various machine guns on flexible mounts, and rocket pods on fixed mounts.